I mean, have you heard how you might use material that is in the public domain to make money? I Tony Laidig the Public Domain Expert and I was really surprised by his email today! First, let me give you some background. If you are new to internet marketing and making money online then public domain material is one of the easiest ways to get started…. in fact, one of my first products was from public domain material. Click Here A Public Domain Resource Page ….its old but the material is good! Here’s the conundrum though….. who do you listen to, who do you learn from…whose stuff should you buy to learn about public domain. In essence, whose the public domain guru? Click Here for The Public Domain Advantage ….new material! All I can do is relate my experiences. I first ran into public domain materials …..maybe 8 or 10 years ago from a guy named David Valleries. I don’t even know if he’s teaching internet marketing anymore. In fact, I believe he got into trading and is currently teaching forex and day trading stuff. 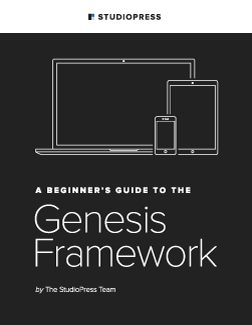 I learned the basics from Dave and even purchased the rights to his complete public domain class…. very good stuff. I wanted others to learn how they could quickly use this material to start making money online. I stumbled on a few guys selling and teaching public domain materials over the years…. none of it really anything new. You can do a search on the warrior forum and find some wso’s on plubic domain. You’ll learn something from these materials but it’s nothing earth shattering. Nonetheless, I recommend buying everything you can because …..well, just one idea might be the golden egg for you and you’ll never know where you’ll find it! Then I ran into a fellow named Tony Laidig. Tony didn’t proclaim himself as a public domain expert. In fact, I must have just found him as he was getting started online. He shared some of the most amazing strategies for using public domain materials. He shared resources… in fact he shared just about everything he knew ….at least I suspect. His material was valuable and reminded me of the old days of when being on someone’s list meant that you received instructional materials, tips and techniques…. not one pitch after another! Well…. I think Tony probably willing shared his stuff for a good year or two and then some more established internet marketers must have gotten ahold of him and convinced him to stop sharing these things and start charging. Needless to say, I was disappointed to receive emails from Tony saying … buy my new product….. only 20 available…. use this special link. Yes…Tony Laidig fell into the grievous and greedy pit of the online entrepreneur and making money online because his obvious passion. Now….although I was disappointed to see this change in character, I can’t say I blame him. Everyone wants to make money online and if you have special knowledge and can capitalize on it…. more power to ya. Unfortunately for me, my tolerance for internet marketing tactics has gone to zero and Tony started using these tactics with his products. You know what I mean…. last day for this, secret link, dimesales (I hate those), never to be sold again….and on and on. Regardless of what I consider faux pas on his part…. I would still recommend you get on his list and I would recommend you buy his stuff if you want to learn Public Domain because I honestly this Tony Laidig is the best public domain guy online today. I recommend his products….at least the ones I’ve purchased. I use affiliate links to make money from products I recommend because I know how good they are. If you’ve followed any of my blog posts over the years, I really don’t rave about anyone …..with the exception of Jimmy D Brown or a couple of products every year. So… you should consider my support for Tony something you might want to take a look at. Tony’s knowledge of photoshop and his use of public domain images is simply beyond amazing. He’s got a product called Photo Profit Secrets that is more of a course than a single ebook. I honestly haven’t seen it yet, but I have a couple of his other public domain image related products that are just outstanding. In fact, I picked up one of his free ebooks on how to digitize images, change them with free photoshop type programs, where to get them turned into posts and make a profit with it….didn’t cost a penny. Anyway….let me get to the main point of this post. I’ve tried to establish that Tony Laidig is a public domain expert who has, in my optinion and his, strayed off his intended path of helping people while at the same time trying to make an income for himself. you have put in me to provide quality products and training. to change, I have no problem stepping up to address them. merit of the product, not stupid trickery. I will proudly and confidently support you and your products and I wish you the best in your new direction. To you my reader…check out a couple of Tony’s new courses….. I’m confident that Tony will take good care of you and you’ll be on your way to start making money online using public domain materials. I decided to create a case study using public domain images and take you through the process of researching a niche looking for small niches and finding keywords called long tailed keywords. Once we find the niche, then we will research and work on the product to be developed. You probably already know that I have an interest in Public Domain Maps so lets look for something that has some monthly search volume with little competition from other websites. 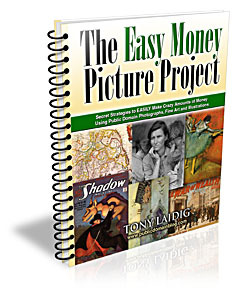 In this process I’m going to use only 2 tools to start with, Micro Nich Finder and an ebook and public domain images resource guide called The Easy Money Project by Tony Laidig. I found a site that has some public domain maps, in particular, civil war maps and to dig a little deeper I looked for a Civil War Battle Map! I basically outline the process and show you the tools to use. However, I can’t stress how thorough The Easy Money Project ebook is….I think its around 200 pages. Tony describes the process of taking a digital image and turning it into a poster. He goes so far as to give you details on paper weight, printing costs, how to interact with the printer along with many other details. you need to do to find yourself on the front page of google. that phrase and is only found on a low amount of websites….which in a way is relative to the monthly search count. Lower than 10,000 is good, 500 to 2000 is even better and you can find yourself on page one with little effort. are indexed for that term. This means that if I can show up on page one of Google I will get about 3,000 visitors on my salespage each month. If I can convert 2% of those visits that would be 60 sales every 30 days! Think, there are about 3,000 webpages indexed by the search engines with the long-tailed-keyword “civil war battle maps“. webpage on the first couple of pages of Google. penned articles, do some social bookmarketing, submit to directories and create a network of blogs with some articles…..it’s going to involve some time to get placed for the the phrase you are aiming for. It’s time to start putting your product together. Micro Niche Finder Pro and Tony’s Public Domain Image book you’ll be able to create a top of the line product and begin depositing some public domain money! I forgot to tell you, if you would like to watch how Micro Niche Finder works, click on the link and you’ll be able to watch a screen caputure video of the software discovering some long tailed keywords…movie is FREE! google and told you the perfect tools to use in the complete procedure. Stop messing around! Click those links, get your chard card out and get started. Once you own these tools, you will possess the ability to dig deep into the world of public domain images and in particular you can make a civil war battle map calender or poster!